Calendar: «National Child’s Day», «Universal Children’s Day». «Beauty in everything» illustrated quotation. Child’s day, free quote pictures for Facebook, Twitter, LinkedIn, Reddit, Pinterest and other social networks. 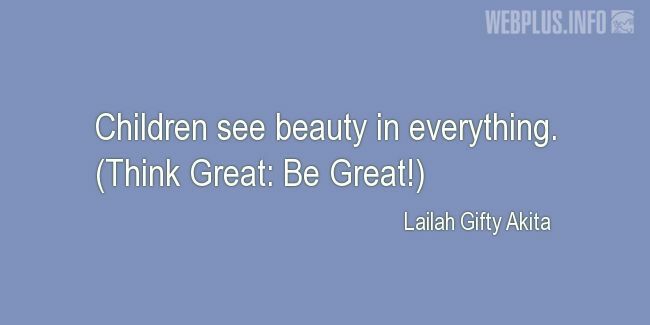 Children see beauty in everything.